Inglis is a town located in Levy County, Florida. 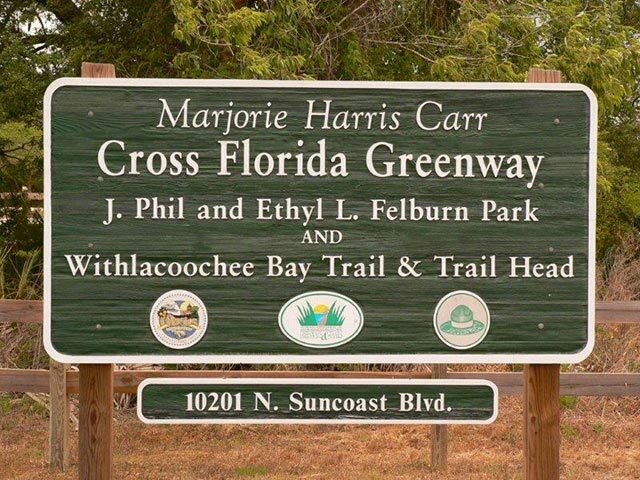 It is located on U.S. Highway 19 near the Cross Florida Greenway. As of the 2010 census, the town had a population of 1,325. 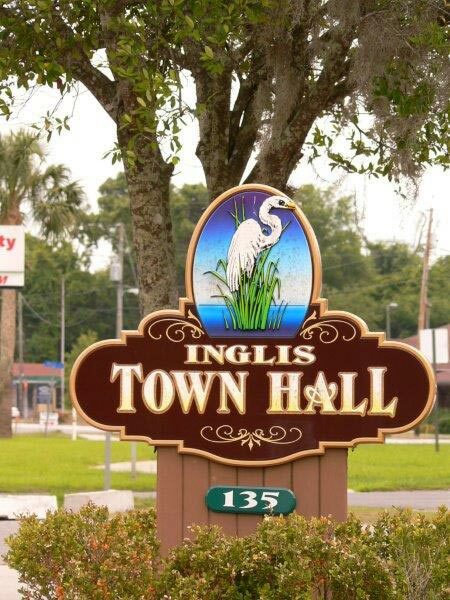 Yankeetown is located right next door to Inglis in Levy County. The population was 502 at the 2010 census. 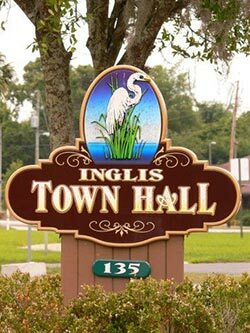 Inglis and Yankeetown are home to the beautiful Withlacoochee River designated as one of Florida’s Outstanding Waterways. These small towns are located at the south end of Levy County and are part of the Nature Coast of Florida. Inglis and Yankeetown are representative of “Old Florida” and act as a gateway to the Gulf of Mexico where you can participate in an abundance of outdoor activities including boating, sailing, fishing, camping, hiking, bicycling, paddling and birding on the river or on the Gulf. 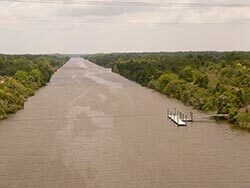 The Withlacoochee River was named by the Ocali or "island people" who inhabited the Ocala area when that highland ridge region was an island. The Timucuans inhabited the area after 1700 and were predominantly fishermen and fish eaters. In the early 1920's A.F. Knotts discovered the wilderness between Inglis and the Gulf of Mexico at Port Inglis. He marketed the area to his friends and business associates in Indiana as a fishing resort. The new resort community was reportedly called "YANKEETOWN" by a mail carrier in contrast to a part of the adjacent upriver Town of Inglis called "Crackertown." Commercial fishermen and boatmen acted as guides for wealthy sportsmen during the winter months. Today the Withlacoochee River is a Federally Navigable Waterway and designated as an "OUTSTANDING FLORIDA WATERWAY" by the State of Florida. 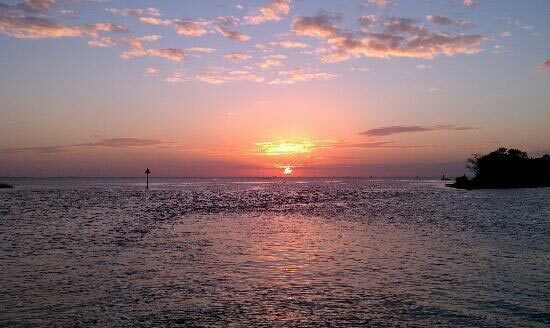 It is one of the most picturesque, tranquil and traditional "Old Florida" locations on the Nature Coast and is an environmentalist and sportsmen's paradise. The river winds between islands studded with oyster bars and shores covered with dense jungle growth with an abundance of wildlife and birds. Although not much has changed, there are plenty of outdoor activities for the entire family. Visitors and residents alike enjoy the great outdoors. The Withlacoochee Gulf Preserve is a 413 acre preserve situated in Yankeetown on the salt marshes of the Gulf of Mexico. This facility has over 5 miles of walking trails, kayak launch, a 30 foot observation tower and home of the Ellie Schiller Education Center. Don’t miss the annual Withlacoochee Rubber Duck Race held on the third Sunday of Novemeber at the Inglis /Yankeetown Lions Club Seafood Festival. 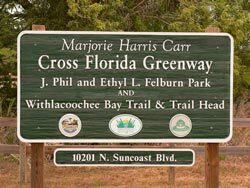 The Felburn Park Trailhead and Withlacoochee Bay Trail are managed as a unit of the 90,000 acre Marjorie Harris Carr Cross Florida Greenway. Felburn Park, formerly a limerock mine is approximately 140-acres. Remnants of the mining activity include the 40-acre Phil’s Lake that was formed when the limerock mining hit the freshwater aquifer thus filling the lake. Inglis and Yankeetown offer fresh or saltwater fishing on your own or with a Guide. 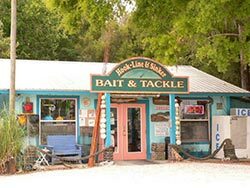 Marinas, bait and tackle shops, fishing licenses, campgrounds, motels, boat ramps and boat rentals are also available throughout the area. 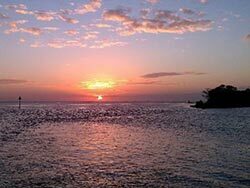 Tarpon, Red Fish, Trout, Scallops, Cobia, Mackerel, Shark, Grouper and more can be found in and around the mouth of the river and of course, in the Gulf of Mexico. Both the Withlacoochee River and Lake Rousseau offer a variety of freshwater fish- Largermouth Lunker Bass, Brim, Blue Gill, Catfish, and Crappie. Scalloping is loads fun! It's fun for the family and easy to do in about 4 to 8 feet of water. Scalloping is a great underwater Easter Egg Hunt with a mask, snorkel and fins. If you can swim, you can scallop! 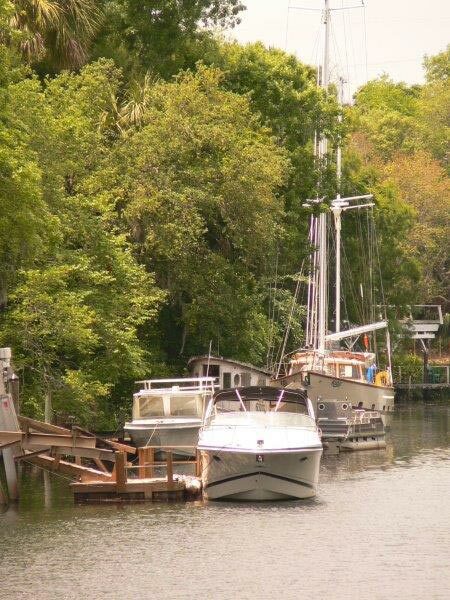 You can get to the scalloping area by boat or car from Inglis and Yankeetown. There are many paddling opportunities on the Withlacoochee River and the coastal estuarine system around the Gulf of Mexico. There are eight trail maps available and for the adventurous ones you have miles and miles of coast line and tidal creeks to discover. Paddle the Withlacoochee River to Bennetts Creek and observe the Roseatte Spoonbills ,Woodstorks, Egrets, Eagles and more. 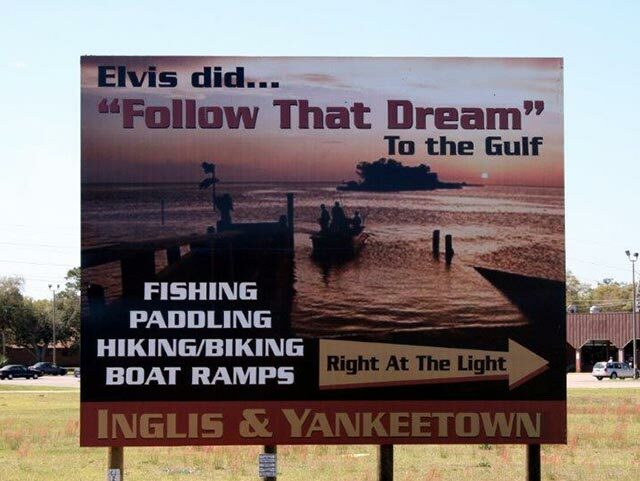 Those who are interested in canoe or kayak fishing, the Inglis & Yankeetown area has some of the best inshore fishing for Sea Trout , Redfish, Snook, Flounder, Sheepshead, Cobia and Tarpon. The Great Florida Birding and Wildlife Trail (GFBWT) is a program of the Florida Fish and Wildlife Conservation Commission. At its core is a network of 514 sites throughout Florida selected for their excellent birdwatching, wildlife viewing or educational opportunities. This 2,000-mile, self-guided highway trail is designed to conserve and enhance Florida's wildlife habitats by promoting birding and wildlife viewing activities, conservation education and economic opportunity. There is no shortage of wildlife and game in Inglis and Yankeetown for your viewing pleasure. Gators, otters, dolphin, wild boar, manatee and an abundance of Osprey, Spoonbills, Herons, Bald Eagles, Cranes and more can be found in and around the Withlacoochee River and the Gulf of Mexico.